Sunrise Divers dive center has been located at beautiful Karon Beach, Phuket since 1999, providing liveaboard trips, day and overnight dive tours, PADI dive courses and equipment to divers and travelers of all nations. 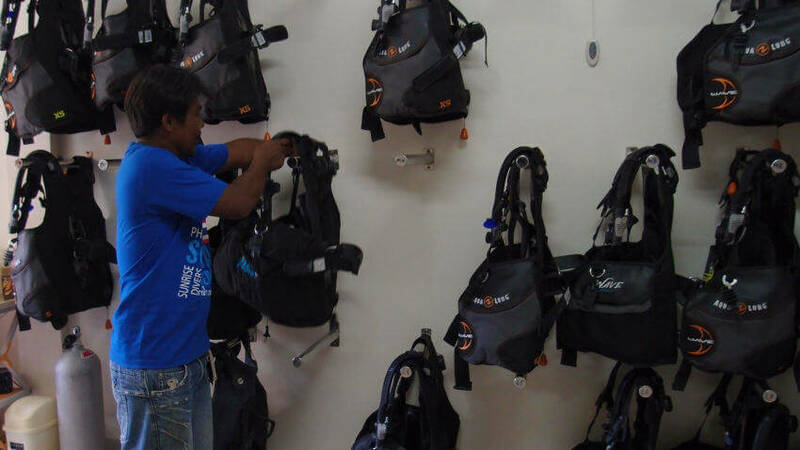 Our staff have many years of experience of diving in Thailand and are well equipped to provide you with accurate information and find the best liveaboard or right diving trip to suit your needs. We’re always here to help! Book Your Next Trip with Sunrise Divers! We are Phuket’s number 1 liveaboard booking specialist and, unlike online agents, we are right here in Phuket so can meet you in person, you can try equipment and with many years of local experience we know the dive sites, the boats and can offer the best advice for your Thailand liveaboard. 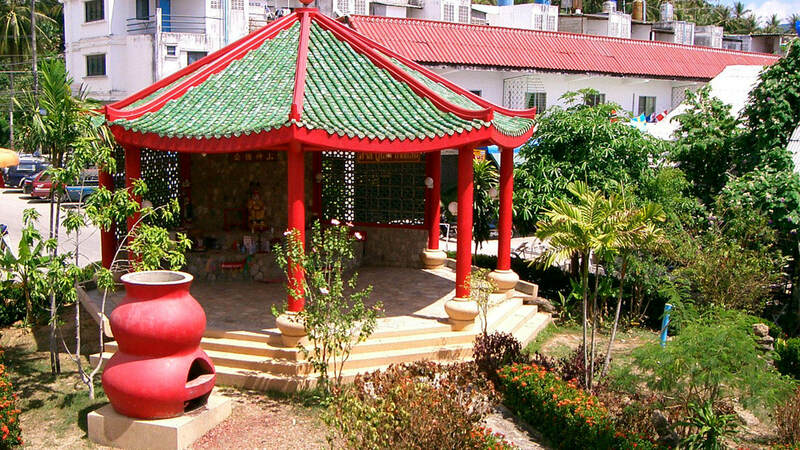 Manager Jamie has been in Phuket since 1999 and is the blogger behind Jamie’s Phuket Blog. If want local information, he can help! Our experienced team of instructors offers PADI Dive Courses from novice to advanced level, and can teach in English, Deutsch and Français (other languages on request). 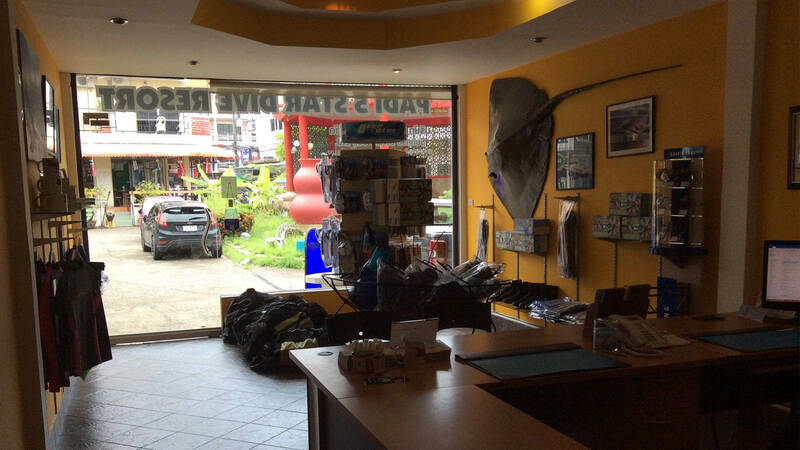 Sunrise Divers is a PADI 5 Star dive shop, and a member of the PADI International Resort Association. We also offer a variety of diving day trips around Phuket onboard various Phuket day trip boats and fast speedboats. Day trips and overnight trips are also available to Similan Islands. If you have a group of divers, ask us about chartering your own speedboat! Note that Sunrise Divers does not operate a day trip boat ourselves. We choose the best operations available to all destinations to give our customers the best possible choice of boats 7 days a week. 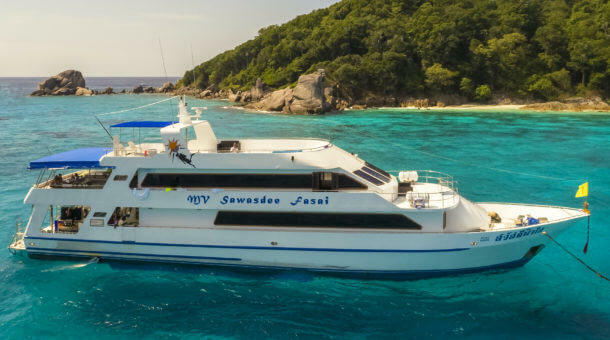 Sunrise Divers arranges a wide range of Thailand liveaboards to The Similan Islands, Richelieu Rock and Hin Daeng, plus liveaboards into Myanmar. Trips from 2 to 10 days are available on a wide range of boats with standards and prices to suit all divers. Sunrise Divers is long established as one of Thailand’s top liveaboard booking specialist agents offering a wide selection of Phuket’s best liveaboard boats with easy online booking. Unlike many online booking agents, Sunrise Divers is a real dive center with a PADI 5 Star rating, and we have nearly 20 years of local experience. We offer not only liveaboards, but local dive trips and we teach dive courses here too. Come to see us! We also offer a wide range of liveaboard boats in Indonesia (see Indonesia Liveaboard Diving). 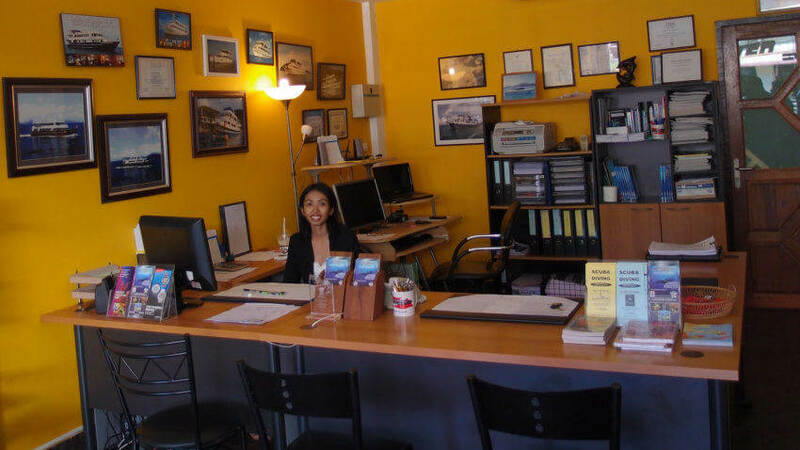 We will answer your queries quickly and will do our best to find the right liveaboard, dive trip or diving course to suit your needs. We are always here to help and offer friendly and impartial advice. Contact us today by email or call our mobile hotline 08 4626 4646. If you want to dive in Phuket, Phi Phi, the Similan Islands, Burma or Indonesia just ask Sunrise Divers! Sunrise Divers is your helpful, friendly local Phuket dive center for all your Thailand scuba diving needs, and would like to welcome you to Phuket for scuba diving 365 days a year, helping you to make your diving dreams come true. Come to see us!